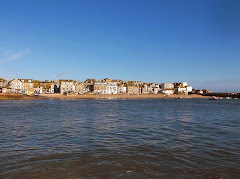 I've been working on a completely new design for my St Ives web site OneStIves. 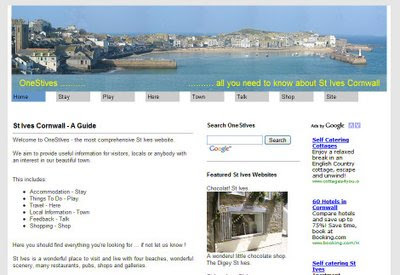 Its designed to be easier to navigate, more visually pleasing and to have more useful content. I also plan to make more use of multimedia content such as Alban Roinard's excellent videos. Its not finished yet, and not all of the links work on the menus. But I'd be very interested in any feedback, comments, ideas. articles, reviews, photos, videos or anything else.